Lisbon, Portugal’s Beautify Junkyards came to my attention a couple years ago with their Fruits de Mer Records contributions and debut album, all of which consisted of an intriguing array of covers by such bands as The Hollies, Nick Drake, Os Mutantes and more, the standout being a cosmic Folk rendition of Kraftwerk’s Radioactivity. 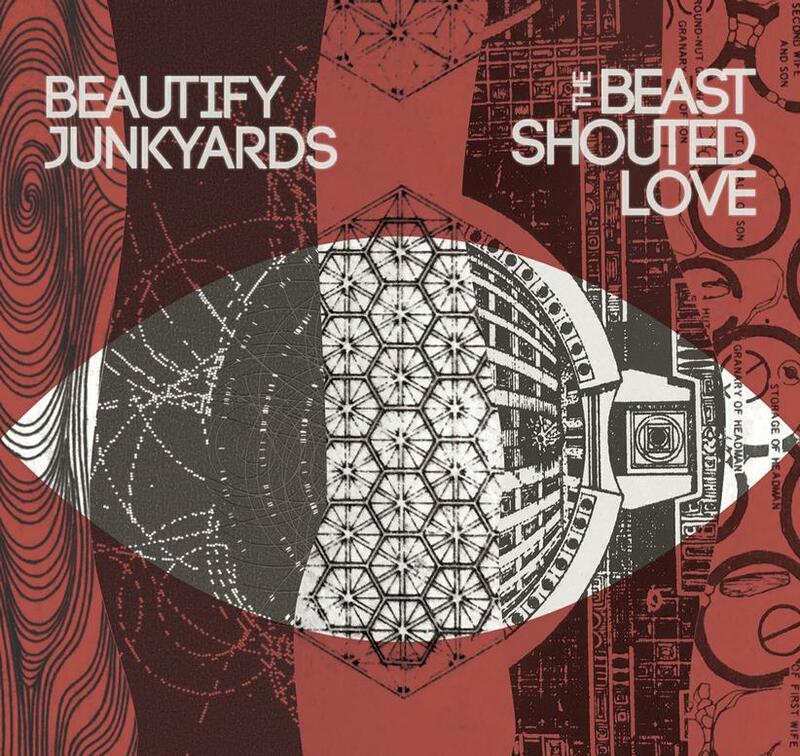 As creative as many of their interpretations were, I closed my review of the band’s first album with a call for some original songs, and as wishes are apparently sometimes granted, that is precisely what the new Beautify Junkyards album consists of. The cosmic Folk term I used in reference to the Kraftwerk cover is characteristic of the Beautify Junkyards sound. The music is delicately pastoral and acoustic driven, but includes electronics, synths and Mellotronic flutes to create something that is beautifully bucolic, dreamily spaced out, and often fascinatingly yet accessibly avant-garde. The promo sheet describes a process whereby the band record live in a field with a mobile studio, followed by a post-production process where effects and synths are added, and this is crucial to the Beautify Junkyards sound. There is an elusive diversity of influences that merrily coexist on these songs, with Medieval and electronica elements, along with a lysergic surrealism being creatively incorporated into the band’s core sound. One song that highlights these seamless contrasts is Lake, which features one of the most gentle combinations of male/female vocals and acoustic instruments imaginable, and is augmented by robotically cascading electronics, synth melodies, spaced out atmospherics and off-kilter electronic rhythms that choppily march alongside the reflective cosmic flow, conjuring up images of some extraterrestrial Renaissance Fair. Valley Of Wonders demonstrates Beautify Junkyards’ flair for the surreal, sounding like a 60s Folk-Psych song injected with dreamy carnival themes and deep space imagery. Beautify Junkyards are on to something that to my ears is more than a few steps outside the box. The music and vocals are enchanting, mesmerizing, and captivatingly beautiful, yet full of adventure as the band explore a range of cosmic sounds and stylistic elements. I can easily see this album appealing to a diverse audience – Folk-Psych, Wyrd-Folk, Prog, Space Rock, Krautrock and more. Highest recommendation.